Marks Jewish Community House (JCH) is based in Brooklyn, NY, and has a woodland campus located on Staten Island. 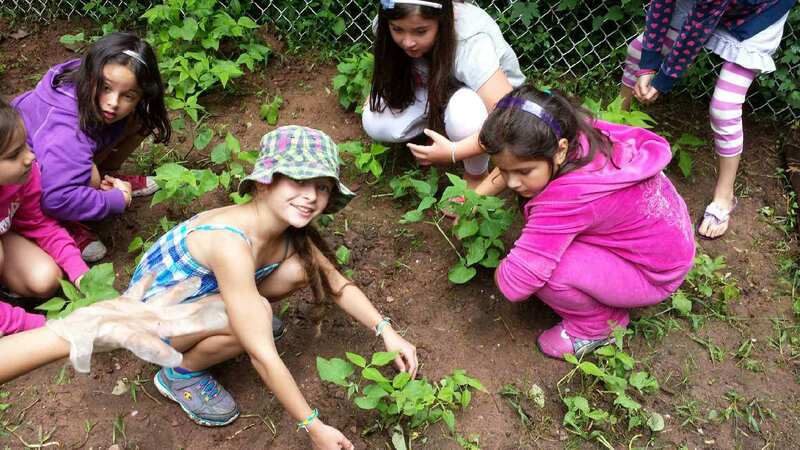 They applied for a Gendler Grapevine Project grant to develop and initiate an environmental project called “Green and Me.” Through “Green and Me,” over 500 day campers and 130 overnight campers were taught about the connection between Judaism and the environment via engaging activities and programs. “Green and Me” focused primarily on the concepts of reducing, reusing, and recycling through the implementation of a disposable water bottle-free summer, the creation of a recycling program at the Henry Kaufmann Campgrounds located on Staten Island, and the training of all specialists and administrative staff to become more thoughtful in their use of materials. The summer project was so successful, Marks JCH continued the green programming in their After School program. 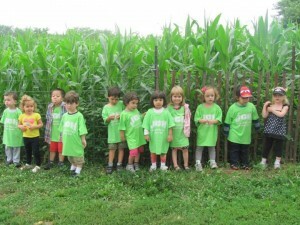 The kick-off activity for “Green and Me” in day camp was the signing of an environmental contract. The contract was displayed in the gymnasium where the campers gathered every morning, and it served as a constant reminder of the campers’ pledge to be environmentally conscious Jews. The Gendler Grapevine Project surprised all 2013 grant recipients with the gift of enough reusable water bottles for all campers and staff. Marks JCH incorporated this gift into their project and disbursed the water bottles at the kick-off event. 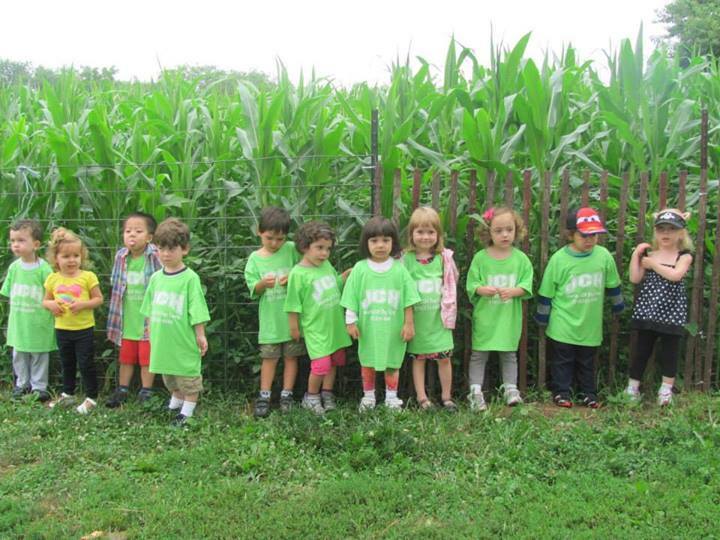 To implement the project, the camp’s Jewish Educator also took on the role of Green Educator. The Green Educator worked with staff and campers to ensure that every camper age 5 to 12 received weekly educational peula (activity) on greening and practiced it in camp. Examples of activities include a trash audit, starting a recycling program at the Henry Kaufmann Campground, reducing psolet (food waste) at each meal, and engaging in Jewish text on nature walks and hikes. Information was also sent home explaining the environmental relevance of camp projects and activities. 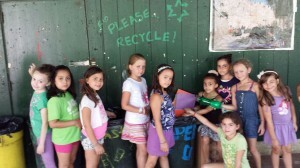 In addition to grounding the importance of being environmental stewards to the Torah, campers also learned about environmental initiatives in Israel and around the world, such as water re-use and recycling. Marks JCH’s After School green programming started in October. * Start the planning phase early in the year. * Be flexible to change program curriculum based on camper interest as well as weather conditions. * Consider getting formal training for staff on various “green” topics. * Purchase the necessary supplies to create engaging programming. * Establish funding to support the role of the Green Educator. * Before replicating the “Green and Me” program, Marks JCH suggests creating a project that is manageable and fits the respective camp culture. They explain that replicating their program without any adjustments may not suit every camp.